Montville’s cool mountain air, sparkling views and array of quaint boutique shops, galleries and eateries draw people from far and near. Montville also boasts some truly delightful award winning accommodation, allowing you to stay and play. Located on Main Street, at the top end of Montville village, you will find a black & white Tudor building complete with landscaped beer garden. 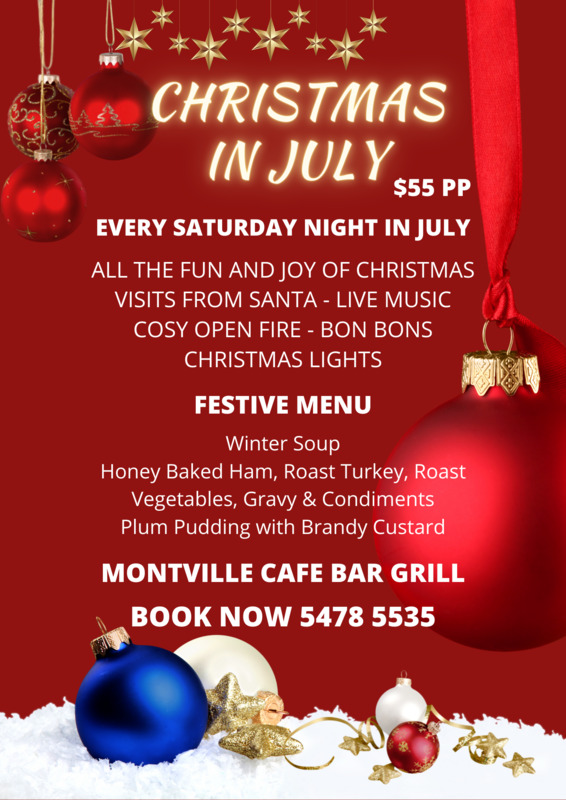 We offer great food & entertainment, as well as a traditional Montville restaurant atmosphere. Our master chef has created a menu designed to please all tastes and budgets. From succulent steaks to sensational seafood, mouthwatering desserts and much, much more! Our regulars say we’re the friendliest place in town! 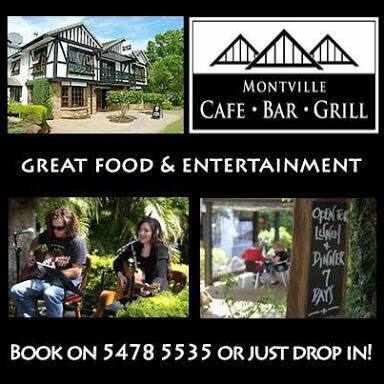 Whether you’re a visitor to Montville or a local, come and see for yourself. You’ll be most welcome! Dine indoors in our cosy restaurant or, if the weather permits, outside in our beautifully landscaped garden. Enjoy live music on Friday nights as well as Saturday and Sunday afternoons. Enjoy a light lunch or a hearty one. Perhaps a Wagyu Works Burger or a slow braised Beef Guinness Pie; our famous Fish & Chips or maybe some Oysters or Black Lip Mussels; a Greek Salad of Lamb Fillets; vegetarian delights including Vegan Lasagne … or just a snack. We serve a range of Australian and imported draught beers, and our wine list includes boutique wines sourced direct from the cellar door. Enjoy a drink outside in our garden, or in our friendly bar. Dine in our ambient restaurant or enjoy your meal in the beautifully landscaped beer garden. Our exciting dinner menu is designed to excite all tastes! King Henry Rack of Ribs braised in a sticky honey, beer & chilli sauce; Seafood Linguine of mussels, prawns, scallops, calamari, market fish with lemon, chilli & herbs; Confit of Murray Duck Leg on a bed of creamy leek and parsnip puree; magnificent Fillet Steaks with caramelised onion & fresh herb potato rubble; and much, much more including vegetarian dishes, delicious starters, and desserts to die for.